Wrap up, cover, or surround completely. It could be thoughts that escaped the deeper caves of our unconscious mind, made their way to our cortex, and landed as touching words of a precious letter, feeling now safe inside an envelope. It could be my Australian friend Desley, double wrapped in blankets after enduring the cold and strong Dutch winds, to make a series of seriously excellent shots. It could be that feeling of conquering craving that a bar of chocolate, so carefully covered, defies. It could be that bear hug filled with love, that feels so good to give and receive. It could be so many things and so many photos. This week’s theme for the WP Photo Challenge is Enveloped. 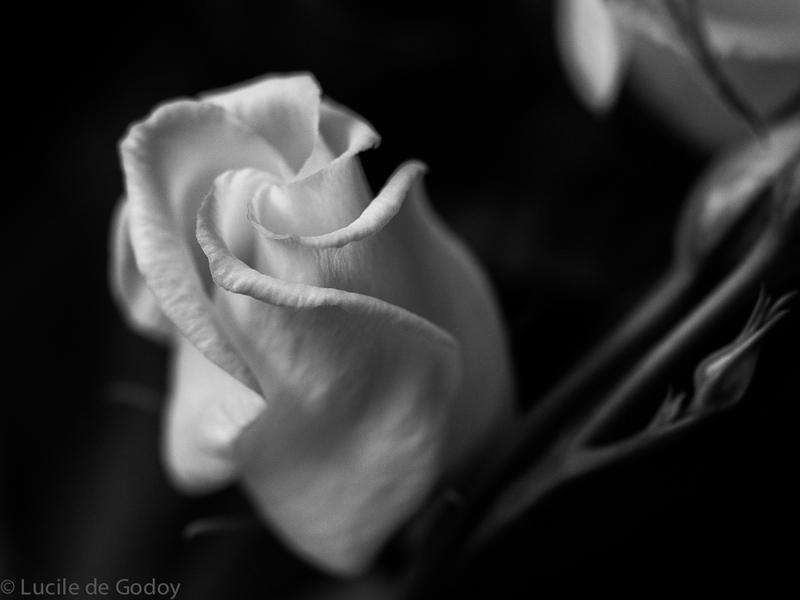 My interpretation comes is color and B&W versions of a macro photo from a flower. Each petal envelops the next, forms curves and waves, showing how nature designs beauty that is awe-inspiring. Neither do you, with generous and kind comments. Have a wonderful weekend. Oh! Not just the photos but the words! Enveloped me in warmth and drew me in to read again and again. Lovely, Lucile. Just lovely. Oh Lois, you’re so kind. I’m grateful for your always considerate, encouraging and heartwarming comments. That was such a cold day and it didn’t hit me until I was inside where it was warm. The hot shower and the cuppa did the trick though, along with the bundle of blankets. You were so brave that day. All sacrifice for the best shots. But it was worth it, wasn’t it? Absolutely worth it!! Besides, my fingers didn’t fall off so I count it as a win. LOL. Lol. Omg I would feel so guilty! Desley will feel better when she learns that she got company. But in truth, cold weather unpleasant, particularly when it’s supposed to be warmer. I’ve seen sunny but still chilly days during spring this year. It’s not ideal. Beautiful photos. I think I prefer the black and white. Thank you so much, Angeline! Thank you so much, Jussie. Thanks, dear! Good to have you here. What a lovely thoughtful post with gorgeous photos as well. Really nice Lucile! Thank you so much for dropping by and commenting! Appreciated! I prefer the color one, but both interpretations of “enveloped” are good! Thank you, Patti. I very much appreciate your visit and comments. Your visits always make me smile! Thanks my dear!